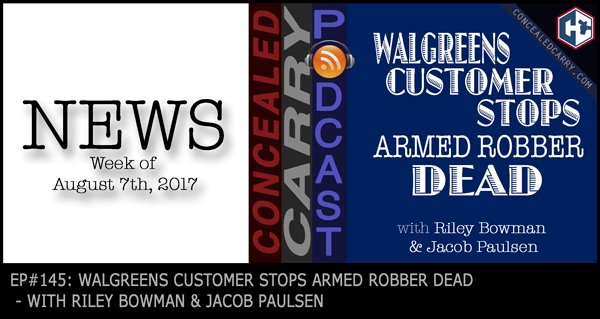 Riley and Jacob cover the latest stories in the concealed carry and firearms industry world including some important legislative updates out of Washington D.C. where one New York congressman has proposed a law to protect the rights of citizens to purchase and possess many rifles and shotguns including AR-style semi-autos and their magazine and ammunition components. NY Governor Andrew Cuomo doesn't like that much. Wisconsin Democrats don't like the idea of gun safety being taught to high school studentseven if it is optional. Sig Sauer has some unwanted attention due to some possible issues with P320 pistols firing when dropped–Sig Sauer responds. And a Texas college professor wears body armor and helmet to class to protect himself from students that might want to harm him. Plus don't miss this week's incredible JUSTIFIED stories!! Hit the ‘PLAY' button and listen in now!! Do I Need a Safety on my Everyday Carry Handgun?